The is a guest post by Vidhi Shah, MDM student and co-founder of Candor Interactive. 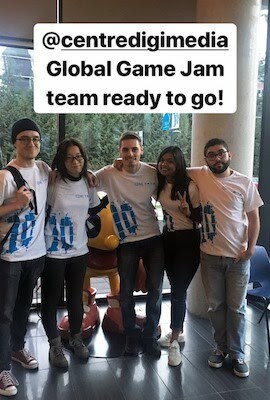 The Global Game Jam (GGJ) celebrated its 10th year in January. Every year thousands of game developers decide to come together all over the world and share a room for 48 hours and work on a new game project. The GGJ is not a competition, not a hackathon, and there are no minimum skill level requirements. The Global Game Jam is the celebration of game development by all members of the community—from newcomers to expert industry veterans. 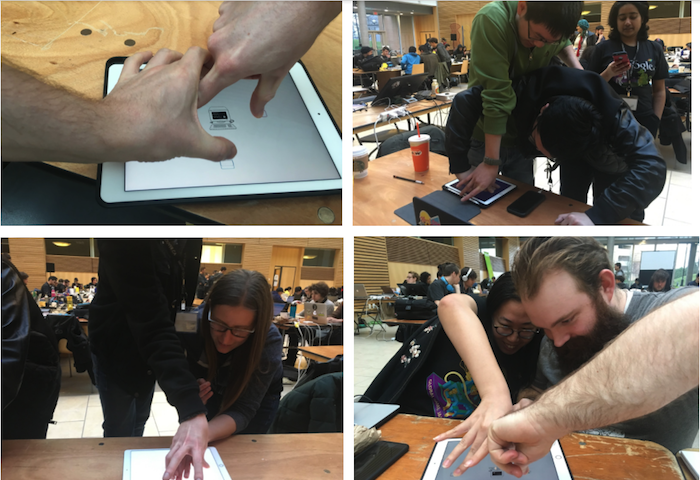 Each year, many CDM students take part in game jams as individuals or groups. This year we decided to venture out into another GGJ. The Master of Digital Media program has provided us with opportunities to meet and work with peers from all around the world and across various digital media disciplines. We took advantage of this network and formed a group with students coming from the current cohort (C12 - 2017) and mine (C11 - 2016). The team consisted of two female and three male students from India, Brazil, China, Columbia and Ireland. We represent the gender and cultural diversity that is promoted so heavily here at the Centre for Digital Media. Most of us had never worked together but that’s what we were built for here at the CDM. We just made sure we had a multidisciplinary team made up of a Designer, a Producer, 2D and 3D Artist, Animator and two Programmers. We walked into the UBC Life Sciences building with undeserving confidence, set up our workstations, settled into the hard wooden and plastic chairs, and awaited the announcement of the weekend—the theme. 30 minutes into a very interesting and confusing video it was announced; this year's GGJ theme: Transmission. With my previous experiences of game jams, they have tended to be stressful, anxiety filled weekends. This one was the complete opposite. Thirty minutes into the jam, as a team we had decided on a game idea—a two player experience exploring the transmission of data through the human body via touch. There is something special in having a group of people from different cultural and career backgrounds come together and agree and develop an idea without real conflict. We decided to enjoy a nice dinner as a team to discuss ideas further and bond and get to know each other. Once we completely agreed upon an idea we created tasks for everyone, organized a digital mini sprint board and got to work. We decided to go home and get a full sleep. It was imperative to our productivity. After some much needed sleep we arrived back in the early morning and got into the work of the final day of the game jam. By morning, we had each individual component of the game tested and combined together. Because of our collaboration and work we finished roughly two hours ahead of schedule, which allowed us to do some play testing with some other people at the game jam and iterate on the game. In the end we created a game that we are all really happy with in a very short amount of time in an uncomfortable environment, and in the process also became really good friends. Did you know that humans can transmit data through touch? Touch.Me (with one hand) is a co-op iPad game where two players use their hands and fingers to transfer top secret files to a mainframe. Be ready to touch. Read more about Vidhi and her venture internship project, Candor Interactive. Want to participate in next year's Global Game Jam? It's happening January 25-27, 2019!